Pepperoni, Beef, Sausage, Ham, Chicken, Italian Sausage, Bacon, Meatballs, Anchovies, Spinach, Fresh Mushrooms, Red Onions, Black Olives, Green Olives, Roma Tomatoes, Artichoke Hearts, Fresh Basil, Bell Peppers, Fresh Garlic, Cranberries, Jalapeños, Cashews, Cheddar Cheese, Mozzarella Cheese, Feta Cheese, and even Pineapple! While this list seems like a lot to choose between, there are even more toppings out there that people like to include on their pizzas! We prefer to stick to the more traditional ones, though! Utilizing these toppings, you can create a different flavor of pizza for every day of the week! Something sweet? Try combining ham, cranberries, and pineapple. Something spicy? Put beef, jalapeños, and red onions on your pizza. Something special? You can always add chicken, tomatoes, garlic, and cashews for an interesting taste! Whatever you are in the mood for, don’t be afraid to ask! 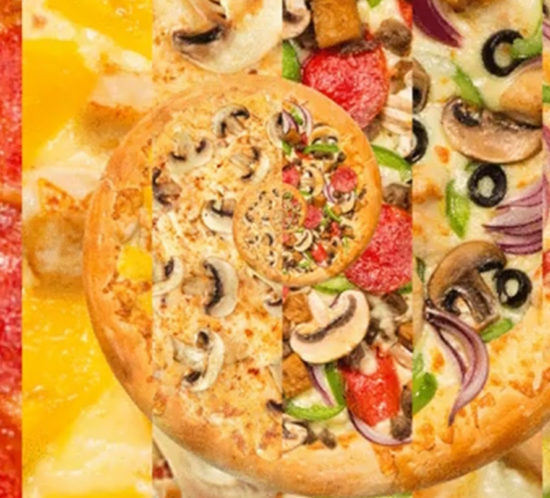 Mix and match your flavors and create a pizza that is all your own! In addition to being a great place to eat, the Palio’s Pizza Cafe brand is a great place to work! Each location is privately owned and family-operated, providing the commitment to excellence you have come to expect from the brand. With that in mind, the work-culture at the different locations is that of a family. You are more than just another employee, you are a valued member of the team that makes the brand such a success! There are tons of job opportunities available! Overseeing the day-to-day activities of Palio’s is no small task. As a member of management, you will be responsible for making sure every customer has a great experience. We are looking for well-organized people with the ability to multitask and stay on top of things. Palio’s is built on the success of its pizzas and pasta. As a cook, you will maintain the high level of quality control our food is known for. We are looking for dependable people with experience working in a kitchen or a willingness to learn. Our counter staff is generally the first face our customers see. As a Palio’s staffer, you will present an attitude that makes our customers want to return. We are looking for people who are trustworthy, dependable, and uphold the Palio’s standard in customer service. Door-to-door delivery is a huge part of Palio’s Pizza. As a driver for our team, you will be the face that many people see. 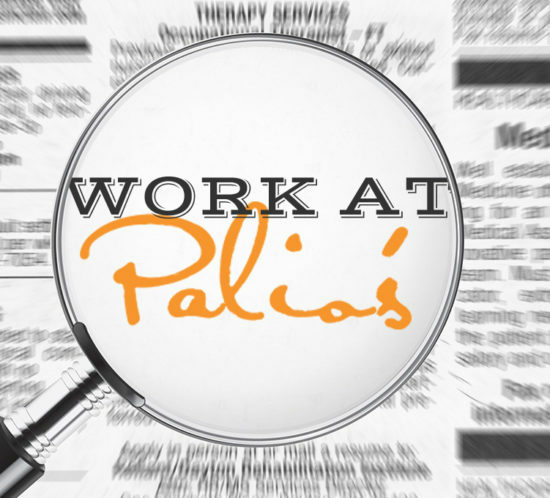 We are looking for people who are trustworthy, dependable, and uphold the Palio’s standard in customer service. We would love to have you join the Palio’s Pizza Cafe family. If you are interested in applying for a job, simply visit your preferred location to fill out an application in person or click on this link, https://www.paliospizzacafe.com/careers. 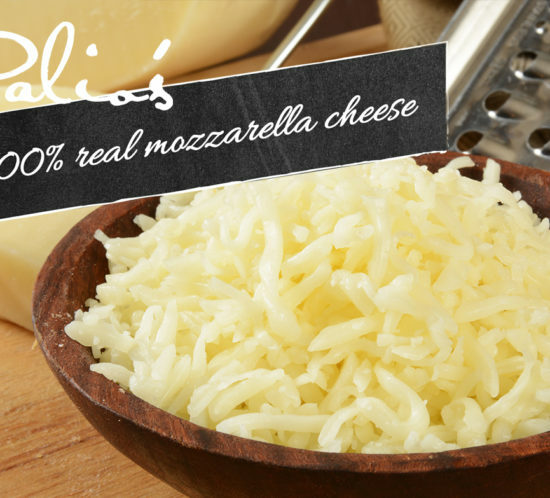 At Palio’s Pizza Cafe, we pride ourselves on using 100% real mozzarella cheese. It is just a part of the fresh ingredients we use in our Italian classics that gives them their wonderful taste. I bet you would be surprised to learn a few interesting facts about cheese. Evidence of cheese being made dates back to 6000 BC. That’s a really really long time ago! Studies have shown that the use of cow’s and goat’s milk to make cheese traces back to Mesopotamia. Supposedly, Mozzarella was first made when cheese curds accidentally fell into hot water in a cheese factory outside of Naples. There are over 2000 varieties of cheese in the world. Mozzarella is the favorite around the globe and the most consumed. Glad to know our love of this cheese is shared worldwide. Cheese can be produced using a variety of milk, including cow, goat, buffalo, horse, and even camel. Umm… not sure we are adventurous enough to try it all. Traditionally, mozzarella was made from buffalo milk (mozzarella di bufala) but most commercially available mozzarella today is made with cow’s milk. Oh, and some cheeses have an added health bonus, they help prevent tooth decay! It does this by promoting the flow of saliva which eliminates sugar and acids from the mouth. Mozzarella is one of these cheeses – and people say pizza isn’t healthy! Well, hopefully, you learned something new and can wow your friends with your impressive knowledge of cheese. At the very least, you will be prepared for a random cheese question on the new HQ App game! Come by Palio’s and enjoy one of our many pizzas made with 100% real mozzarella cheese! – Yummy! 5 Reasons Why Palio’s is Perfect for a Working Lunch! In today’s world, working lunches have become the norm for a lot of people. Whether you are meeting someone during lunch to discuss a business proposal, completing a project at a restaurant while you eat, or bringing food back to your desk in the office, everyone knows the struggles of a working lunch. At Palio’s we make it really simple to accommodate any type of working lunch you may need. We have different food options to fit with any dietary restrictions you may require. With our gluten-free crusts and vegetarian options, we are sure to have something for everyone to eat. With our app or website, you can easily place your order ahead of time and have it ready for you to pick up. We make the process as easy as we can for you. Even though we make your food to order, we pride ourselves on providing a quick turnaround. We know your time is important, so we don’t want you to wait any longer than you have to. 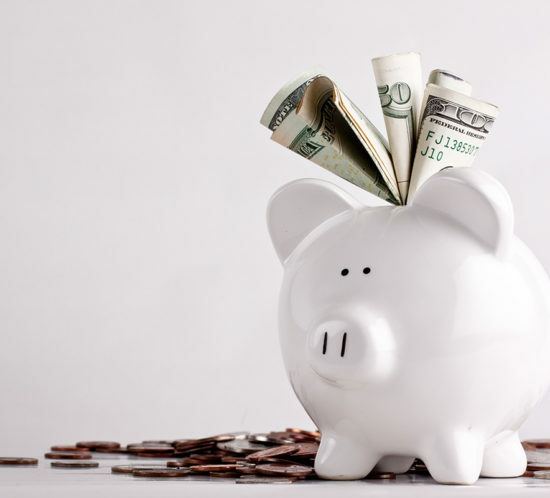 We know you are working hard for your money and that is why we provide regular lunch specials and other BOGO offers to help you save money while enjoying our great food! Palio’s is truly the perfect place for a working lunch. We are dedicated to providing great food, limiting your wait, and keeping the cost down for you. 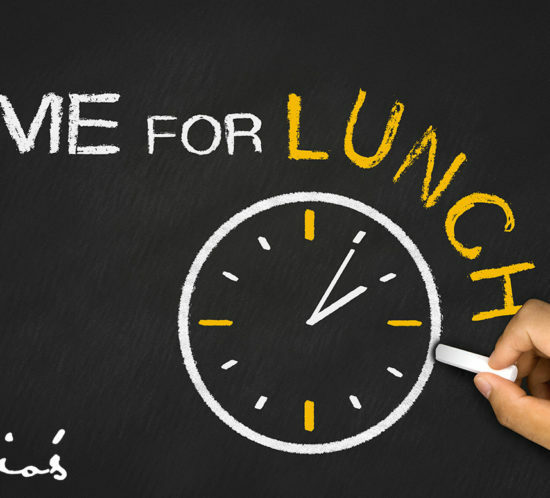 The next time you need lunch while you work, give Palio’s a try! Every year people across the globe make resolutions to workout, eat healthy and stick to a strict diet. Sadly, every year people across the globe fall short of meeting their goals. We are dedicated to our customers because without you Palio’s wouldn’t be growing like we are today! So, in an attempt to give back a little, we have come up with a few suggestions that may help you stick to your resolutions for healthier living! Let’s start with the workout. No matter if you are just wanting to get back into the swing of things or if you’ve never been and are looking to start, pre-scheduling your gym time for the first 2 to 3 weeks will help! If you will pick the days and times you know you can make it to the gym and put them in your calendar for at least 2 weeks and then force yourself to commit to going, by the end of those initial 2 weeks, you will be WANTING to go to the gym! It is all about building that routine. Do not try to push yourself too hard when you first start out. Maybe just dedicate 30 minutes to the gym. Split that time between cardio and light weights or machines. Don’t feel like you have to compete with the gym regulars who have muscle on top of muscle. Just remember, everyone in the room with you had to start somewhere. We have all been beginners! Eating healthy is great and fairly easy to do, so DON’T PANIC! It is when people try to implement extremely strict diets that are a complete departure from their normal eating habits that they end up giving up. Start by implementing more vegetables into your diet, limiting the sweets you eat, and cutting back on eating large portions in any one sitting. Try implementing healthy snacks of small portions into your routine between breakfast, lunch, and dinner. Then when eating meals, try not to eat as much in any one of those times. It is all about balance; don’t deny yourself something you are craving, just don’t over-indulge in it. Cheat meals are completely okay. Just remember, you can have the unhealthy food, just try to be mindful of portion control! Never let yourself feel defeated for having a treat, though! Stick with it. Palio’s has some great food options too that are perfect to fuel a workout and help you stick to your dieting goals. 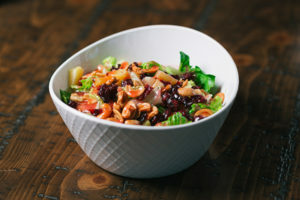 With amazing salads available, you can eat healthy and still have a flavorful meal. You can order one of our signature pizzas and treat yourself once a week and still not feel guilty about over-indulging! We wish you nothing but continued success in 2018! Stop in and see your favorite staff at Palio’s, tag us in your progress pics on social, and remember we are cheering for you! Palio’s Tips for Easing the Pain of Partying Too Hard on NYE! Everyone loves to celebrate on NYE but few enjoy the pain that comes with a New Year’s Day hangover! We understand this dilemma, which is why we have put together a few tips for curing or at least easing the pain of your hangover! If you just remember the 3 P’s, you can help make your day much more tolerable! That’s right, food is key! We know you may not feel like eating much, but getting something heavy in your stomach is an important step to making you feel better. We recommend our Meat & Cheese Deluxe! Eat a bit, get some more rest, and then finish it off. Once you have some food in you, you will be more up for tackling the day! So it sounds a little weird, we know! But pickle juice has a lot of electrolytes in it which will help you recover from the dehydration that is causing your pain and cramps from the hangover. TV’s Dr. Oz swears by this remedy. He recommends drinking a ¼ cup of pickle juice first thing in the morning when you wake up after a night of drinking too much. If drinking pickle juice turns your stomach, another great way to replenish those electrolytes is found in the kid’s aisle at your local drug store, Pedialyte. Pedialyte is like a supercharged version of Gatorade without all the sugars. In our experience, a glass of this in the morning really helps to stop the headache and the soreness you feel in your body. While there are a ton of tips and tricks to follow to help ease your hangover, we have found that these 3 offer us the most support. 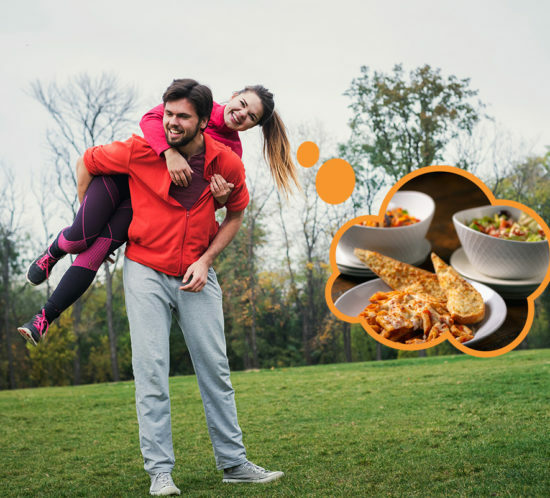 Of course, rest is also needed, which is why Palio’s delivery is perfect! You can have your pizza or pasta delivered and never leave the comfort of your home! 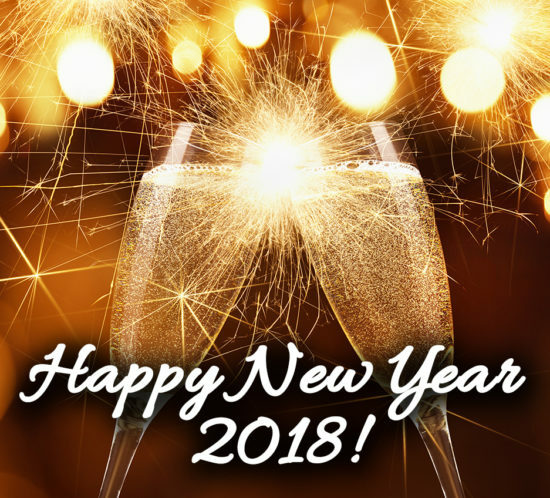 We hope all of our customers have amazing New Year’s Eve celebrations and that 2018 brings you nothing but happiness! Remember, if you are planning to celebrate the ball drop, please do so responsibly. If you are drinking, do not drive! Take advantage of one of the many ride-share services! Whether it will be your first time to Palio’s or you’re someone who comes often but is too scared to try other menu items, we’ve got a list of some of our loyal customers’ favorite dishes. From pizza to pasta, this list has some great options for you to try. When it comes to our appetizers, everyone is raving about our Cheese Bread! This freshly baked bread topped with a hand-made garlic rub, Italian herbs and mozzarella cheese really hit the spot! Many of our guests often tell us they eat too much of this delicious appetizer and forget to save room for their meal! One of our most requested signature pizzas is The Mediterranean. With fresh baby spinach, roma tomatoes, red onions, mushrooms, artichoke hearts, feta, and mozzarella cheese, this pizza is full of flavor! This pizza is a staple for many Palio’s fans. All-natural red sauce, roasted chicken, baby spinach, Roma tomatoes, oregano, sesame seeds, and virgin olive oil make the Molly’s signature pizza a favorite among all of our Palio’s regulars. If you haven’t tried it, we definitely recommend ordering it the next time you come to Palio’s! A classic Italian dish, our traditional beef Lasagna will not disappoint. While it may seem like a boring dish to order and not as fun as some of our other options, the flavors we bring out will make you feel like you’ve traveled to Italy for this savory treat! When it comes to subs, our Hot Italian will have you rubbing your belly and feeling completely satisfied. 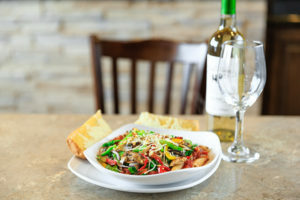 As one of our most popular items, the Hot Italian has everything that you’d expect! Pepperoni, ham, lettuce, tomatoes, cheese, and creamy Italian dressing make this sandwich a must-try! Topped with nuts, powder sugar, and 2 scoops of vanilla ice cream, the Sweetza is a must-have treat when you come to Palio’s! Some people may prefer to skip dessert but trust us, you want to try this sweet morsel! After you’ve filled up on pizza, pasta, or sandwiches, just save enough room for a few bites of this! While we love everything on our menu, these 6 items are some of the most popular ones ordered by our customers and definitely make for a good place to start if you are unsure of what to order. Next time you are in Palio’s, take a break from your normal go-to order and try one of these recommendations or feel free to ask your server what they recommend! Savory Salads at Palio’s Pizza Cafe! 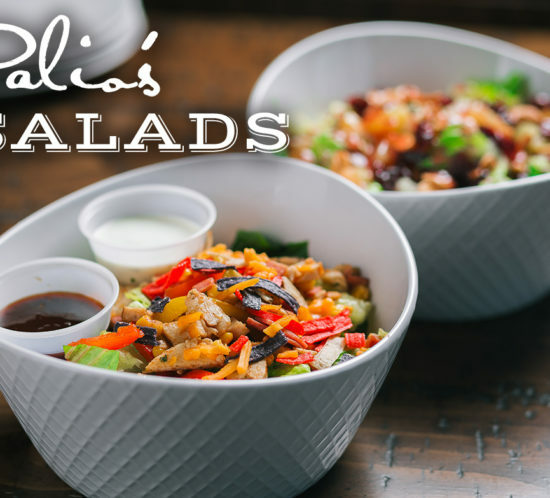 Did you know that in addition to our amazing pizza and pasta, Palio’s also has some great salads that will wow your taste buds and fill your belly? That’s right, with a selection of several different salads to choose between, there is something for everyone. Every salad is prepared with the freshest ingredients. Whether it is the vegetables, fruit, cheese, or meats, only the finest products are used to create a salad full of flavor for our customers. From our classic Chicken Caesar to our Sedona salad, you will never be disappointed with the flavor. 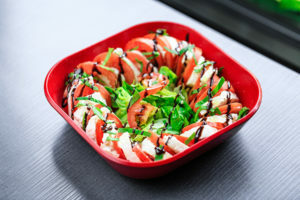 For a full list of the salads, we offer, be sure to check out our menu! Who says salads have to be boring? Certainly, not Palio’s! 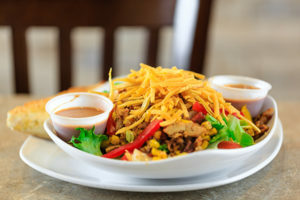 Come in today and try out one of our delicious salads. What is the Palio’s VIP Club?! Are you a fan of free offers and special discounts? Do you love to visit your local Palio’s for one of their signature pizzas or a delicious pasta dish? If so, you will definitely want to join the VIP Club! 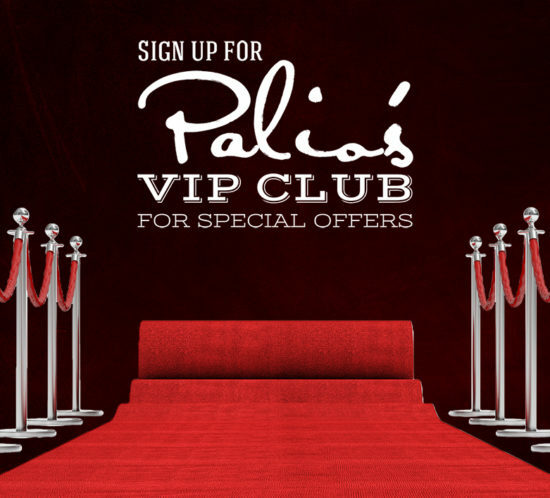 The Palio’s VIP Club is an email program that sends out periodic newsletters containing special deals, coupons, and announcements! 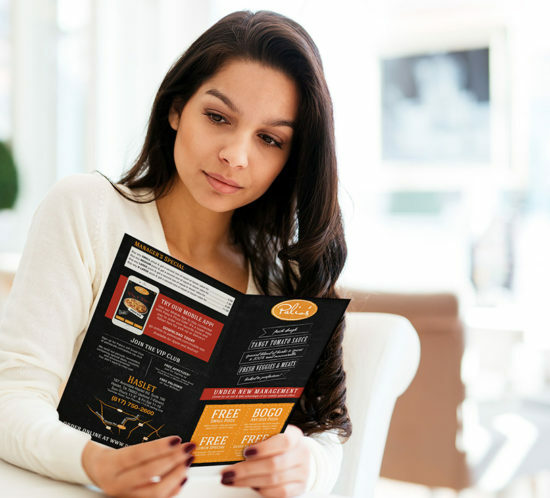 Not only will you get information from the Palio’s brand, you can also identify your local Palio’s location and receive specials and updates on that specific restaurant. Who doesn’t want to know when their local Palio’s is running a BOGO special?! In addition to the on-going specials, you will also receive a coupon for a FREE APPETIZER when you sign up. This coupon can be applied to any appetizer of $10 or less. What a great way to try something new for free! You will also receive a FREE DESSERT on your BIRTHDAY!!! These offers are just our way of giving back to our loyal customers and showing our appreciation. It is your support and patronage that has made the Palio’s brand such a success. We are proud to serve Texas residents. Palio’s Gives Back: Successful Fundraisers! Recently, we have held successful fundraisers for local high schools at multiple of our Palio’s locations, helping to raise money for band programs, football teams, cheerleader organizations, and other school-sponsored groups. We have also had stores help to raise money for local families in need who live in their communities, as well as countless other organizations. The amounts we have helped to raise for these causes and organizations have helped them achieve their fundraising goals and we could not be happier. With individual owners who are local to most locations, it is only natural that our stores take an interest in the livelihood of the local organizations. Click here to fill out our contact form [https://www.paliospizzacafe.com/fundraising/] or call your local Palio’s location today! Wine and Beer Go Perfectly with Your Favorite Pizza! Throw a Super Bowl LIII Party! Where Did Pizza Come From? !